We love having Burgers and fries on weekends. 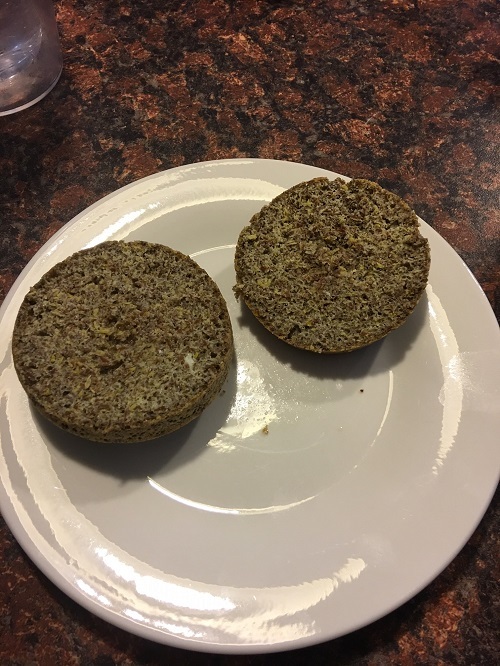 Of course Karen has spent the time to find a delicious way to make the best burgers and tasty home fries that are still amazingly good for us. We have included the full recipe for you but also wanted to give you the secret to adding so many health benefits to your next burger. The Secret? We use Grass Fed Beef. Our research found these 7 Reasons why Grass Fed Beef beats Grain fed (what you get in almost every fast food joint) Hands Down! Contains high levels of CLA (Conjugated Linolenic Acid) which may enhance muscle growth, reduce heart disease and lower cancer risk. In a small Ziploc bag, mix all ingredients together until well coated. Note: use an oven safe bowl with a 4” dimension bottom, muffin tin makes a small bun. 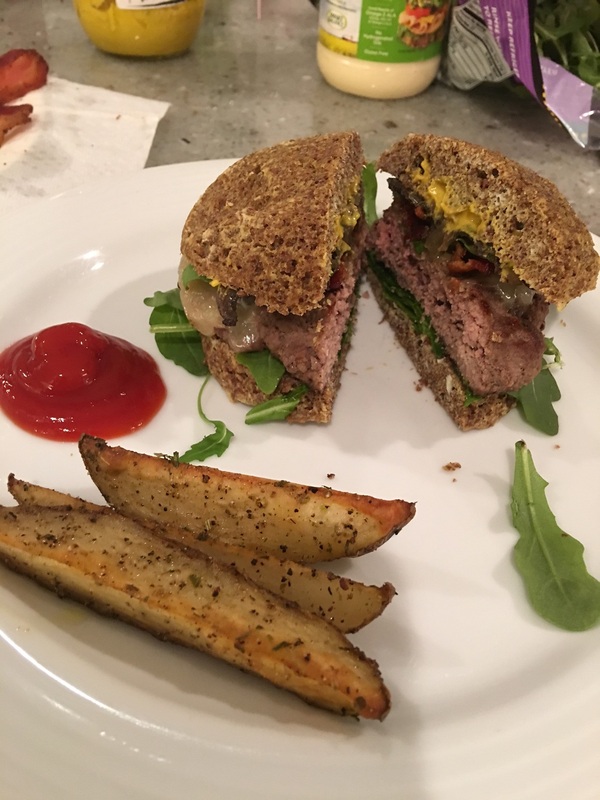 Try out this recipe the next time you are craving a thick juicy burger and yummy guilt free fries. Eat Well and be happy! Looking for a Romantic and Elegant Dinner Idea?